One of the oldest highways in the nation, Route 138 begins at one end in Elgin, south-west of Montreal, at the New York border. (The road continues into the United States as Route 30). The road snakes along the Saint Lawrence River as it passes by Montreal and through Montérégie, Lanaudière, Mauricie, Capitale-Nationale and Côte-Nord all the way to its eastern end at Natashquan. 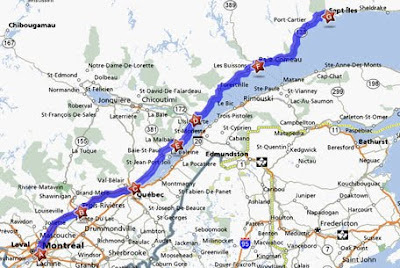 Aside from the gorgeous scenery, the great part of this road trip is the unique vibes of the different cities and communities you encounter along the way, from Montreal's urbanity to the culture of the First Nations-influenced towns further east. The drive is made all the more comfortable and convenient if made with an RV rental. Read more about Route 138 here.